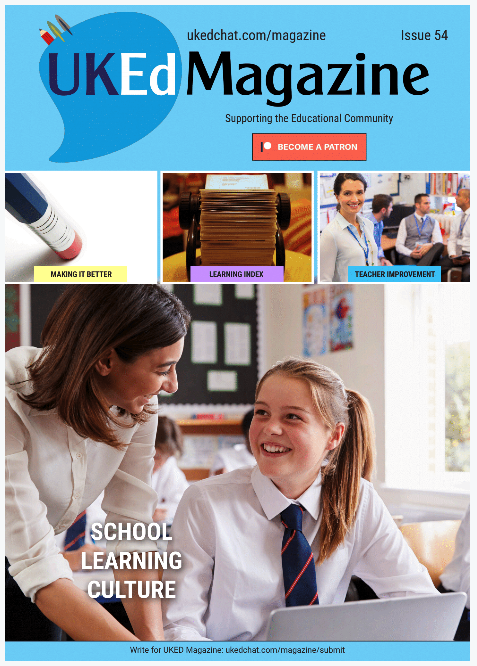 UKEdChat and UKEdMagazine produces a variety of content with funding from outside parties. These sources of revenue allow us to explore topics that we hope are of interest to the UKEdChat community. The presentation of the content makes clear how the content has been commissioned and produced, and who has funded it. UKEd.Media Limited is our parent company, supporting the work of UKEdChat and UKEdMagazine. ‘Supported by’ is used to describe editorially independent content. We accept funding from third parties both for new projects and for content we are already producing. Before funding is agreed with a client, relevant senior editors are consulted about its suitability and the editor-in-chief has the final say on whether a funding deal is accepted. A client whose branding appears on editorial content may have a role in suggesting what kind of topics are covered, but the commissioning editor is not obliged to accept ideas from the funder. The content is written and edited by UKEd.Media Limited staff, or those approved by us, to the same standards expected in all of our journalism. UKEd.Media Limited will not show copy to funders for approval. 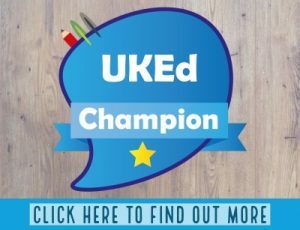 ‘Supported by’ is also used to describe editorially independent content that UKEdChat has produced with funding from foundations around the world who support specific projects. ‘Paid content/paid for by’ is used to describe advertisement features that are paid for and controlled by the advertiser rather than the publisher and are subject to regulation by the Advertising Standards Authority in the UK. This content is produced by commercial departments and does not involve UKEd.Media Limited staff. ‘Advertiser content/content from our advertisers’ is used to describe advertisement features that are paid for and produced by the advertiser rather than the publisher. They are subject to regulation by the Advertising Standards Authority in the UK This content is created by advertisers and hosted by the UKEdChat or UKEdMagazine and does not involve UKEd.Media Limited staff. Last updated: February 2018 – All relevant content from before this date may be subject to different wording.